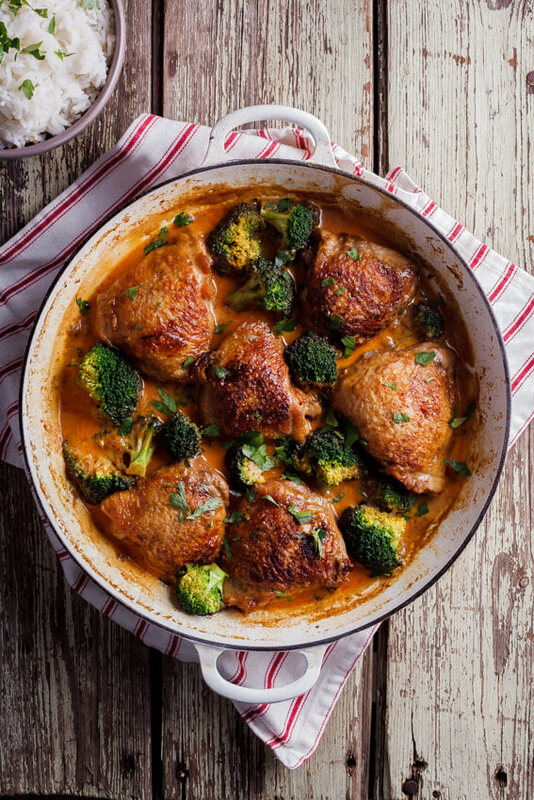 Succulent chicken thighs cooked in a rich, aromatic coconut curry sauce with vibrant broccoli. Is this the perfect weeknight meal, or what? You know those days when you stand in front of the fridge for what seems like days and nothing speaks to you? Yep, we’ve all had them. And I have been having quite a lot of those lately. It seems that I have found my peak creative times and those times almost never (actually, just never never) happen around dinner time. 11pm right before I’m going to bed, you betcha! Sunday morning at around 10am? Yep, creative as heck. But dinner time seems to be the time that I have the least amount of will to cook. Go figure. So I’ve been doing a lot of the same by cooking a lot of chicken (what else is new?) and my other staple recipes, but changing things up just enough so we all feel like we’re eating something new all the time. Sometimes it works, other times Aidan wants to know when we WON’T be eating saucy fries for dinner. Rude. 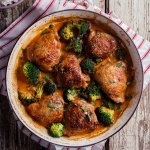 These coconut curry chicken thighs happened a few weeks ago when I had a pack of chicken thighs desperate to be used in the fridge and a head of broccoli that was looking a little worse for wear. 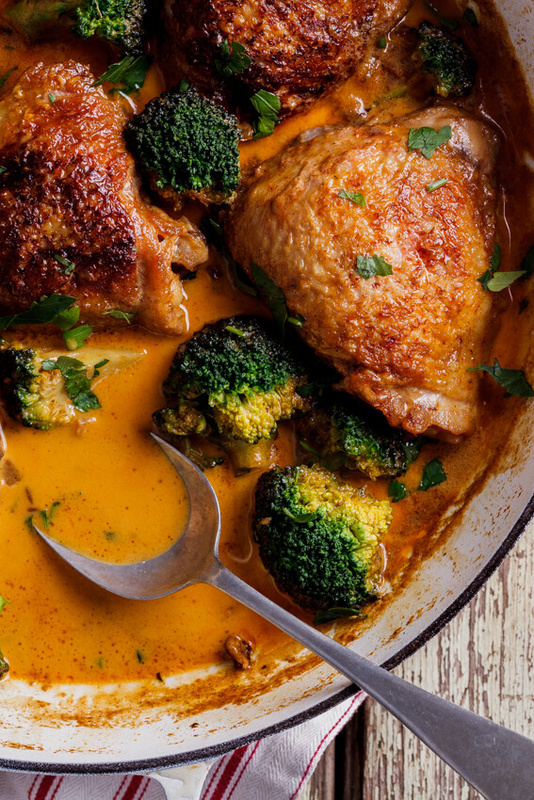 I was going to make a very simple roast chicken, rice and broccoli kind of dinner but then decided to spice things up (literally) by making a rich, silky coconut curry sauce to cook the chicken and brocc in. And let me just toot my own horn here by telling you that this was so damn delicious. 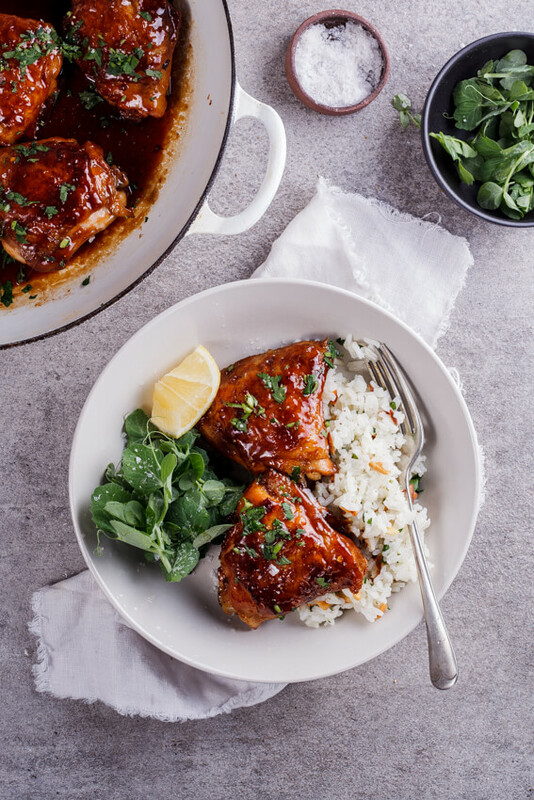 Such a quick and easy recipe to throw together on a weeknight and we all practically licked our plates when we were done. To keep things low carb you can serve this as is but a bowl full of steamed, fluffy Basmati rice is perfection to soak up all that intense coconut curry sauce. Perfection on a weeknight, what more could you ask for? Melt the coconut oil in a large frying pan then fry the chicken until golden and crisp, remove and set aside. Fry the onion in the same pan (add a little more coconut oil if needed) until soft and translucent then add the ginger, garlic and spices and fry for another 30 seconds until fragrant. Pour in the coconut milk, cream and honey and allow to come to a simmer. Add the chicken thighs to the sauce then turn down the heat and allow to cook for 15-20 minutes until the chicken is cooked. 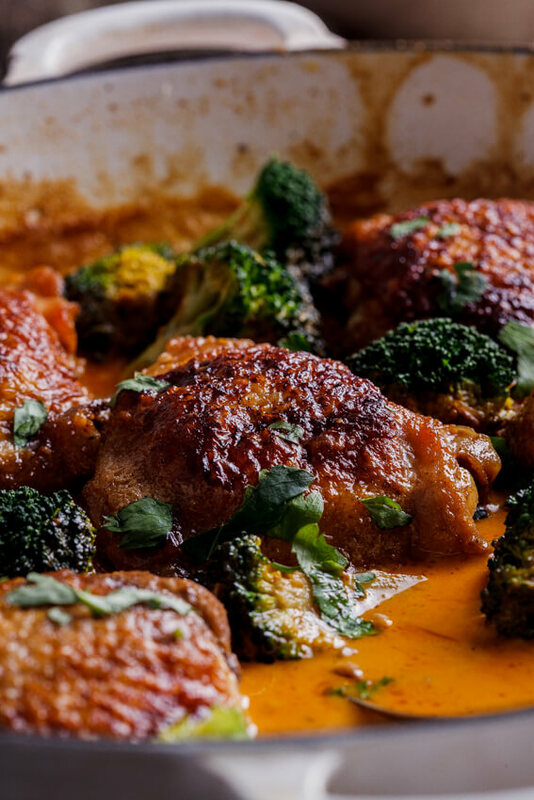 In the meantime, steam the broccoli until almost cooked through and transfer to the chicken and coconut curry sauce to finish cooking. Season the chicken with lemon juice, salt and pepper and serve. Can I sub ground ginger? You could but the flavor won’t be quite as good. So glad you liked it. Love those additions! 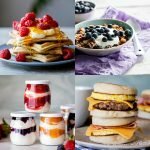 Could you use yoghurt instead of cream? You could, often when yoghurt is boiled it can curdle so perhaps only add it at the end of cooking. I’d like to make this with boneless, skinless chicken breasts. 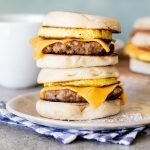 Any thoughts on how to adjust cooking times/temperatures? Chicken breasts cook much faster so you’d just need to reduce the cooking time and check when the chicken is cooked through. This is SO good! I made it using the garam masala and it tastes exactly like it came from my favorite Indian restaurant! Perfect! That’s great to hear, so happy you liked it! I made this tonight but used drumsticks. It was amazing!!! Perfect for the Keto diet. Thank you! Did you substitute all the spices with garam Marsala? How much did you use? You can, if you want. I would say 1-2 tablespoons should be plenty. 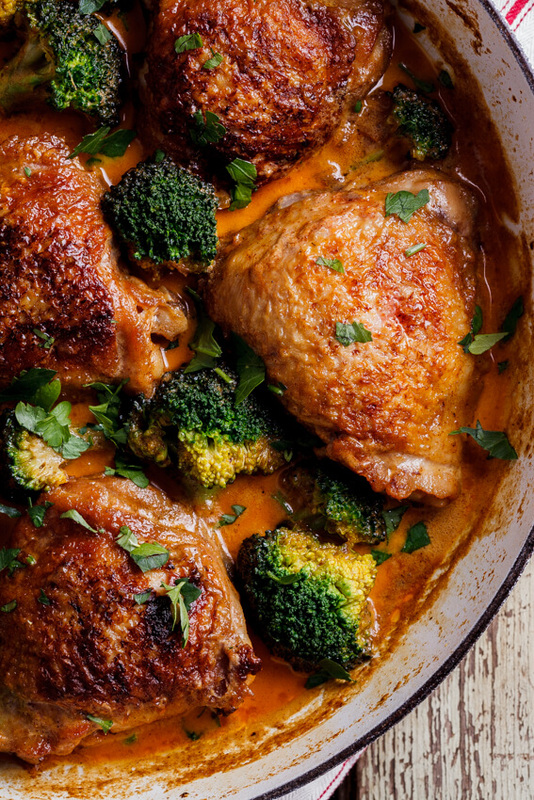 Are you supposed to drain the fat after cooking the chicken? You definitely can if the chicken has rendered a lot of fat. If there is not a lot of fat, I leave it in to fry the rest of the ingredients. Hi there! Do you think this could be cooked in the slow cooker? Thank you – plan on making it tomorrow, looks very good. Also will use chiken breast. 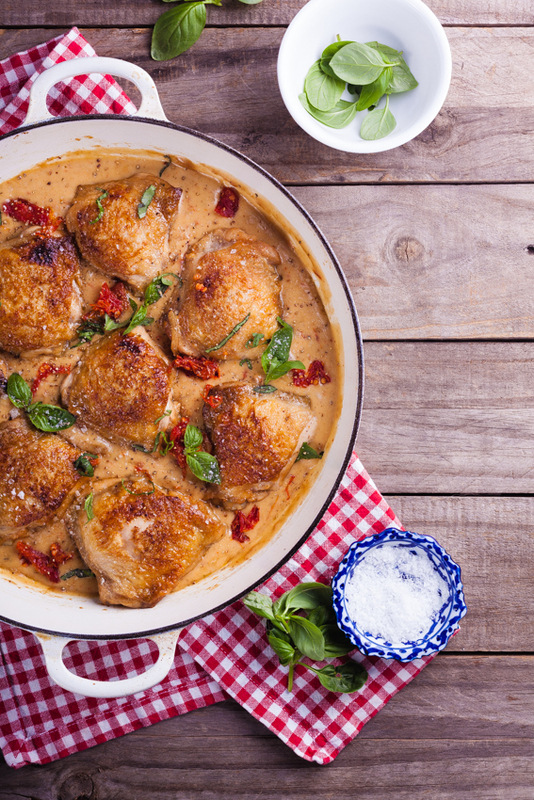 This chicken dish looks incredible Alida! So savory with just the perfect amount of spice! That sauce is leaving me drooling! Thanks so much Mary Ann! 🙂 That sauce is simply drinkable. 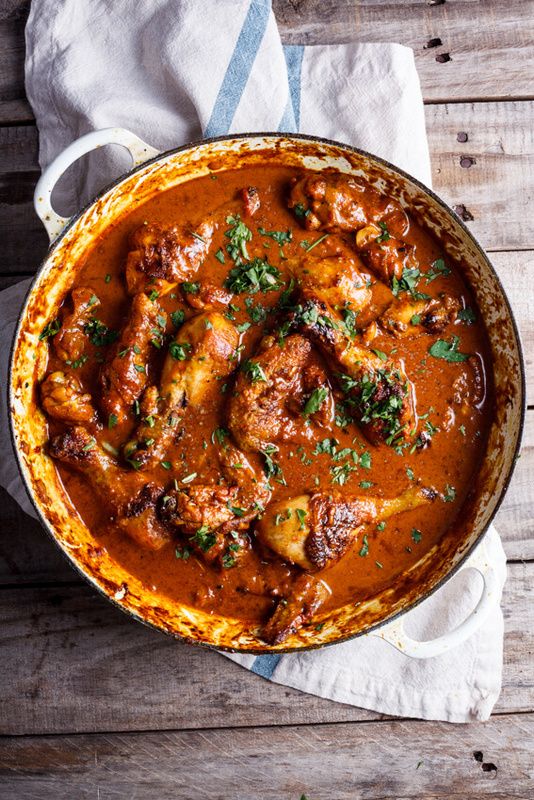 Love all quick skillet chicken recipes and this curry looks great!